Do you want to live in Canada as a permanent resident? Want to know how to qualify and what sort of benefits you can get as an permanent resident of Canada like a pension fund, universal public healthcare and more. A permanent resident is a person who is given a permanent resident status by the immigration department of Canada but is not in effect a Canadian citizen. Permanent residents are immigrants from other countries including students or foreign workers and any other persons living in Canada on a temporary basis. Once you have your permanent resident status confirmed by Canada immigration, you are issued with a permanent residence card (PR) that will act as proof of you being a permanent resident of Canada when you travel outside of the country. To apply for permanent residence, you are required to complete no less than 2 years of employment in Canada. If you spend some months away from Canada, that time will not be included as part of the two years of employment. However, if you leave Canada for more than a year or if your employment permit has expired, you will be required to reapply at an overseas visa office to return to Canada under the Live-in Caregiver Program. For those residents who want to return to their respective countries can do so and must inform their employer in good time. Altering your education, training or work experience in order to mislead the visa officer will result in having your application for permanent residence permanently canceled. Application for permanent residence is not assessed depending on your financial capacity, skills upgrading in Canada, volunteer work, marital status, and number of dependents you have back home. However, your application for permanent residency will be revoked if you, spouse, or dependents children are found to be seriously ill, or have a criminal record. After you have been given a successful assessment of your permanent resident status, you are then given permission to apply for an open employment. This gives you the opportunity to take any job that you may wish to have while you wait to be given your permanent residence because many applications for permanent residence are submitted at a single time, you will have to be patient. To meet residency obligations, one must be physically present in Canada for at least 2 years in every 5-year period. This means that as a permanent resident, you can travel outside of Canada after you arrive and can spend up to 3 years outside of Canada during the 5-year period. Family members and all other dependents can be included in your application for permanent residence and you can all receive your permanent residence status at the same time. Dependents who are living outside of Canada will have their permanent residence applications processed at the visa office in that particular country. They will not receive their immigration visas until you have received yours, and they should all pass their medical and criminal assessments. It is not possible to be granted a permanent resident status until you and all your dependents have passed the medical and criminal assessments. Equal treatment and equal protection. You are entitled to legal rights such as being presumed innocent until proven guilty. The right to be provided with an interpreter in the courtroom, or a lawyer if necessary. The right to move from province to province and enter and exit Canada as you may wish. The right to work or study anywhere you may choose in Canada (although you cannot hold high-security positions in government). Old age security – This is a guaranteed income supplement and a pension plan that was designed to provide financial support to workers who have reached retirement age which is currently at 65 in Canada. Specific residency requirements have to be adhered to before you are considered for this program and you must have contributed to the Canadian Tax system. However, permanent residents only qualify for partial payments of the program. Universal Healthcare – Healthcare in Canada is free, however, this health care program covers medical expenses like; visits to the emergency room, yearly exams, and immunizations. Free education – All children under the age of 18 have access to free education in the Canadian public school system. Maternity and parental leave – In Canada, parents who are working are given time off when a new baby is born or adopted. Women with newborn babies are able to take up to 12 months of maternity leave while receiving 50 – 65 % of their regular salary. Partial paid parental leave of not less than 35 weeks is also made available, and one must have worked a minimum of 600 hours. 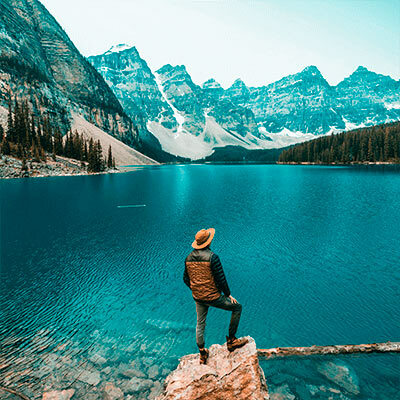 Apart from these benefits, permanent residency also enables you to apply for Canadian citizenship after living and working in the country for the past three years.